A new summary of survey results. 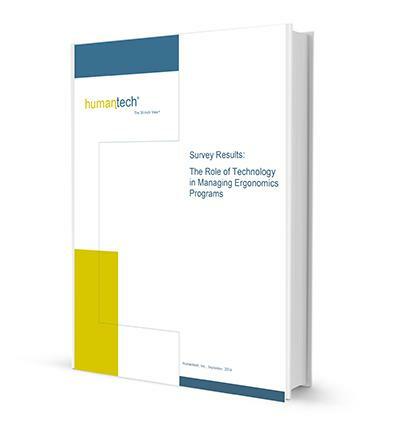 Humantech conducted this survey on the use of technology in ergonomics as part of an ongoing process to better understand the practices of managing occupational ergonomics in today’s workplaces. This effort focused on the resource, time, and financial investments made to improve ergonomics, and the results achieved in the performance of safety, quality, productivity, and employee retention. The survey examined specific types of applications and the investment needed to support use. The application of technology to manage ergonomic conditions has not been well defined. It was our goal to build on previous benchmarking studies and dig deeper to evaluate the best technology practices of world-class ergonomics programs.